Why cleanse daily? 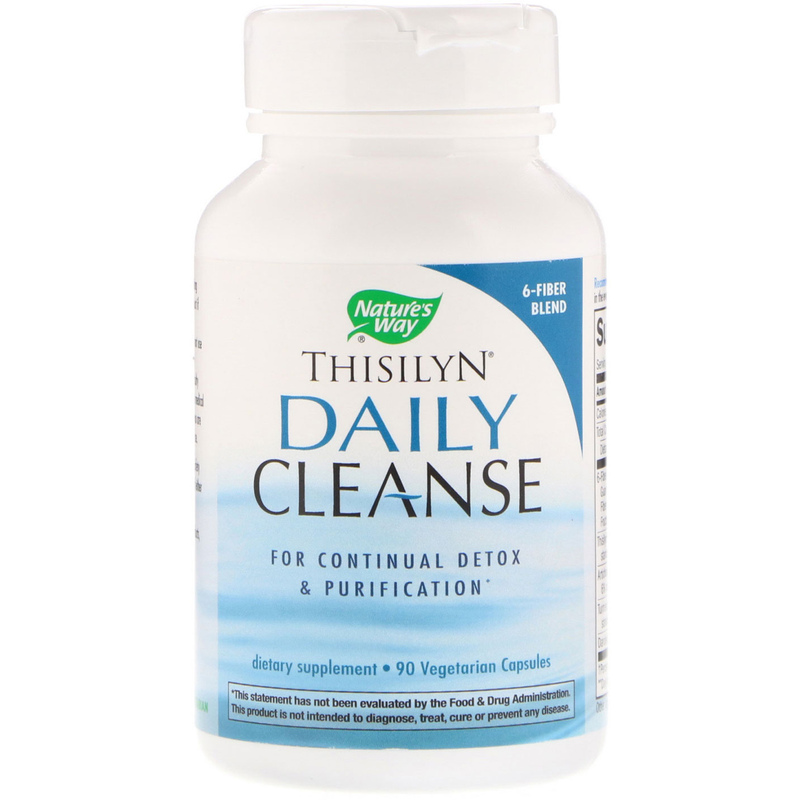 Thisilyn Daily Cleanse is specially formulated to continually fortify your body's natural ability to detoxify. Liver function. A healthy liver cleans helps clear toxins, and other impurities from the blood. Thisilyn Daily Cleanse supports healthy liver function. Bile production. Thisilyn Daily Cleanse promotes liver bile production. Bile carries toxins to the digestive tract for excretion. Healthy elimination. 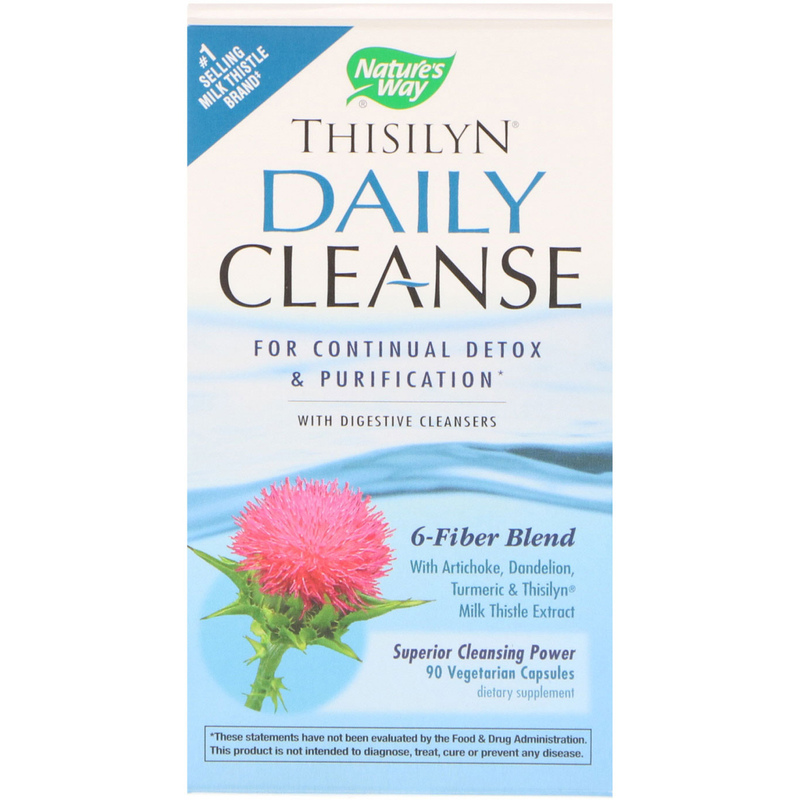 The unique 6-Fiber Blend in Thisilyn Daily Cleanse facilitates the transit of toxins through the intestine and supports healthy bowel elimination. Thisilyn Daily Cleanse contains a unique blend of 6 fibers. 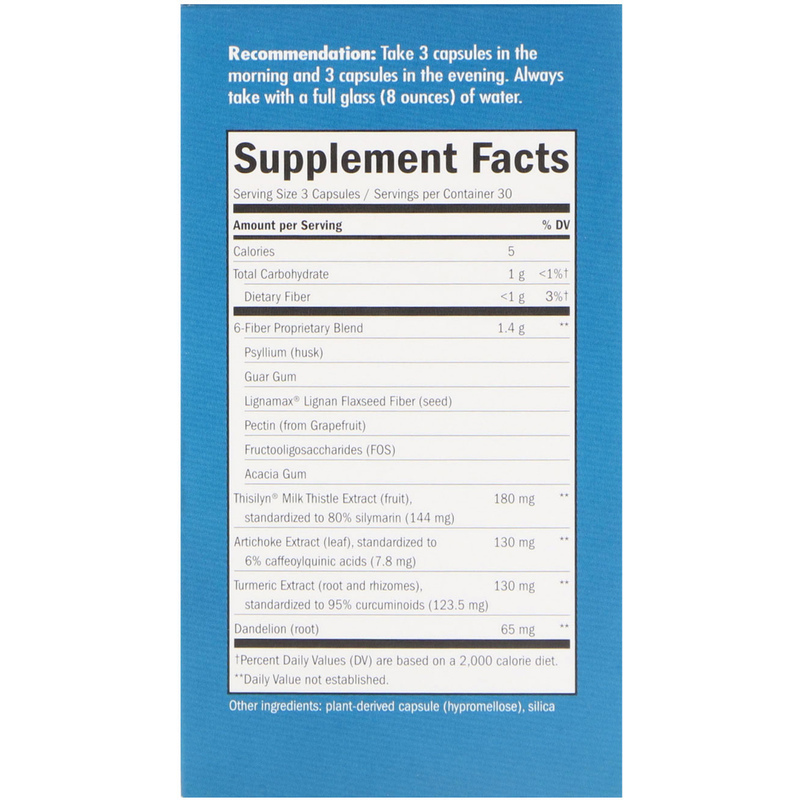 Directions: Take 3 capsules in the morning and 3 capsules in the evening. Always take with a full glass (8 ounces) of water. Take this product with at least a full glass of liquid. Taking without adequate liquid may cause choking. Do not take this product if you have difficulty swallowing. Do not use if you have bile duct obstruction, gallstones or intestinal obstruction/inflammation. Do not use if you are allergic to plants of the Asteraceae (Compositae) family including ragweed. If you experience chest pain, vomiting or difficulty swallowing or breathing after taking this product, seek immediate medical attention. If pregnant, nursing, have gastrointestinal disease, or if you are taking any medications, consult a healthcare professional before use.